I hate music. It's got too many notes. There will be hundreds, if not thousands, of obituaries and tributes written over the course of the next week, all of which will likely do a better job than I can, so I’m not even going to try. 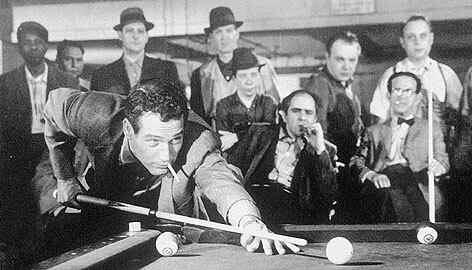 My favorite Paul Newman moment is in The Hustler, where he declares, “The pool game is not over until Minnesota Fats says it’s over.” I love that line. A victory in battle does not mean victory in the war. Paul Newman lost the battle against death, as we all will. But he won the war against mortality. Actor, Oscar winner, veteran, race car driver, entrepreneur, humanitarian, father, faithful husband for fifty years. Legend. Rest in peace. I couldn’t find a clip with my favorite line, but this one will do just fine. This entry was posted on Saturday, September 27th, 2008 at 12:08 PM and is filed under Obituaries. You can follow any responses to this entry through the RSS 2.0 feed. Both comments and pings are currently closed. Music Mystery #246: Wrapped up like a Douche? ?